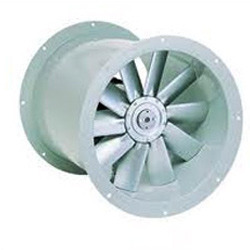 Our range of products include man cooler fans and axial blower. Man cooler fans are designed to keep the body temperature of workers working in an industrial unit, cool. Because of automation all over the world, industrial units are getting fast automation. The machinery and other smoke and heat emitting equipments risen the temperature inside the working area and it becomes difficult to sustain good health in such conditions. 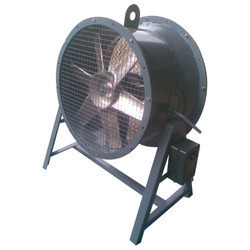 Man cooler fans are designed to release high velocity air over a long distance thereby cooling the bodies of workers. The installation of man cooler machine can provide sustainable working environment. Air Control Systems is engaged in manufacturing a wide range of Industrial Man Coolers that are offered in tubular, column and pedestal mounting designs. Designed using the latest technology and technical advancements, these are fitted with cast alloy aluminum impellers for high effectiveness. Maintaining our consistency in providing high quality of coolers, we source our raw materials from renowned vendors of the industry. Trusted by our widely spread customer network, we strive to deliver our range of products within the stipulated time frame. We are into Axial blowers.Our offered range is manufactured employing advanced technology and latest machines following industry set guidelines. To cater to the diverse requirements of our esteemed customers, we accordingly customize these blowers at market leading rates. Looking for “Water Cooled Air Compressors”?